Here I would show you how to console into switch/router on your apple laptop. Unlike windows you don’t need any additional software like Putty. 1. 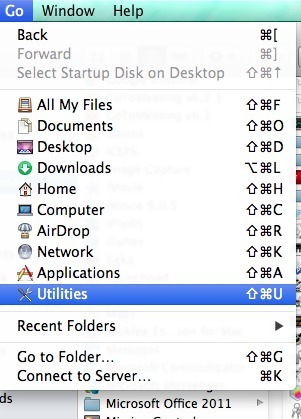 Click Go > Utilites from the top menu. 2. 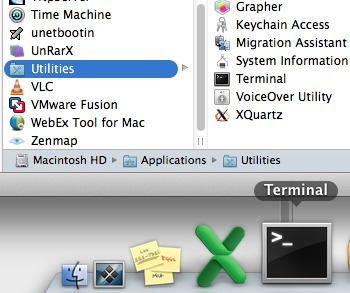 Find Terminal and drag it to your dock. 3. Click Terminal from Dock and wait till it launches. If it doesn’t reveal anything after pressing tab then you will need to install drivers for the console cable or check whether the cable is properly connected to the device.